Proper sprinkler installation can be the difference between the improvement and decline of plant material. Irrigation is a common problem when assessing either turf or other plant health. Other variables such as diseases and plant maturity can also be the cause of poor plant health. However, irrigation is the most common cause. Too often there are frustrations with irrigation systems. Once again you find that another area on your property seems to have plants that are either dying or struggling to survive. You've checked the soil and there seems to be plenty of water in those areas, so it's safe to assume it isn't an issue of under watering. Considering other possibilities, one might think it's too much water, since that area is shaded and the ground never seems to dry out. You call the landscapers to have them check the timers and possibly lower the minutes. You are informed by your landscapers that if you lower the minutes, then other areas that are programmed on the same station, and are perhaps in the sun, will be receiving less water, which might cause those plants to eventually suffer. An irrigation system upgrade might be suggested in order to supply each area with the appropriate amount of water for the specific type of plant material. For instance, drip systems for planters with shrubs and groundcover, or low wateruse spray heads for the grass areas. Efficient programming will provide appropriate amounts of water to the diverse areas. Sprinkler installation can be extremely tricky. It seems easy in theory, but the results can vary because it requires so a large amount of regulation to obtain optimum results. The challenge is in the strategic planning of the sprinkler installation before you even start digging. Small areas can be just as difficult as large areas. There are many things to consider before installation. It's not simply getting pipes and laying them in the ground. There is planning that goes into it and obstacles to overcome. Common issues to be considered are water pressure, plotting areas to install drip systems or spray heads, and assessing proper time clock settings. It's completely true that every system component will affect the efficiency of your irrigation system and water pressure is at the top of that list. Every property is different, including the water pressure. Irrigation can be installed in the same size planter at two different properties and end up having two completely different results. Water pressure is affected by the actual water pressure settings for the property and by differing ground levels. Pick your water pressure gauge. Some gauges connect directly to hose threads, while others have adapters to let you connect with hoses, faucets or at different points along the piping system. You will get more use out an adaptable gauge, if you plan on installing a new system. Connect the gauge to the faucet or spigot where you will connect your irrigation. Screw onto the water source. Turn on the water all the way and read the gauge. This reading is the result of system's water pressure at that point, but pressure will vary at other points along the system. Check the pressure at the end of your irrigation system. Attach the gauge to the end of your main line and then turn on the water. You may need to use a cap, depending on your gauge's adapter. In most cases, these connections can be made without the use of tools. Use a gauge and T adapter to measure at a point in the middle of the irrigation line. Turn on the water and measure the pressure at that particular location. Disconnect the gauge along with other components. Keep in mind that in certain areas, such as at the top of hills and other slopes, water pressure will be less. Knowing the exact pressure along the different parts of system is important to the size of the tubing and other types of water emitters that can be used. Drip Systems can help efficiently use water. A well designed system essentially eliminates runoff, percolation and evaporation. It reduces contact with the plants, leaves, and stems and will discourage the onset of plant disease. Drip system irrigation has precise management to meet the demands of the plant material as well as increasing the plant's overall health. Drip systems are great for areas with shrubs or groundcover and is an easy way to ensure water is controlled at different intervals. It's imperative for the settings on the time clock to be programmed to the requirements for the various landscapes, primarily planters or turf. Irrigation conversions are generally performed to convert spray heads to drip systems as oppose to the other way around. It's uncommon to convert from drip system to spray heads, unless you are changing the design of the landscape completely. 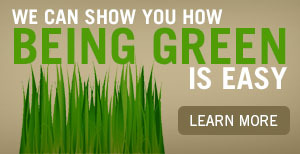 While sprinklers are 75-85% efficient, drip systems typically are 90% or higher. Spray heads are still commonly used, even as water conservation becomes more important and mandatory. As more focus is put on conservation, the non waterwise spray heads are not encouraged to be installed for new landscape design. There are a variety of new designs and they are appropriate for areas that drip system would not be recommended. Turf does not use drip system, so for those areas new products like Hunter MP Rotators are a great alternative. The Hunter MP Rotator's multi-trajectory, revolving streams apply water much more slowly and uniformly than conventional sprays. Sprinkler coverage means what plant material is receiving water during the time the sprinklers are on. This proves challenging despite all of the planning and calculating beforehand. Once the irrigation is installed, it becomes a tedious process to make sure all areas are getting enough water. For example, when you have an area where new seed has been spread, it's important to water that area everyday until the seeds germinate and become stable. This requires the day and minute settings on the time clock to be adjusted for a short time in order to accommodate. Simply lowering the minutes on the time clock is not the correct way to adjust your water use. When installing irrigation, it's important to know every type of plant that you currently have or are going to install on the property and to be educated on their watering requirements. As mentioned before, the time clock settings need to be programmed to the requirements of the different plant material. A separation of irrigation lines for planters and turf is crucial and will need to be programmed with the appropriate amount of time and number of days. For instance, turf requires a great deal more water than shrubs and groundcover in planter areas, so those lines need to be installed and programmed separately to control the water they receive. There are valid frustrations and consistent concerns with many faulty irrigation systems. A common problem is having to diagnose and then repair the same systems over and over again. 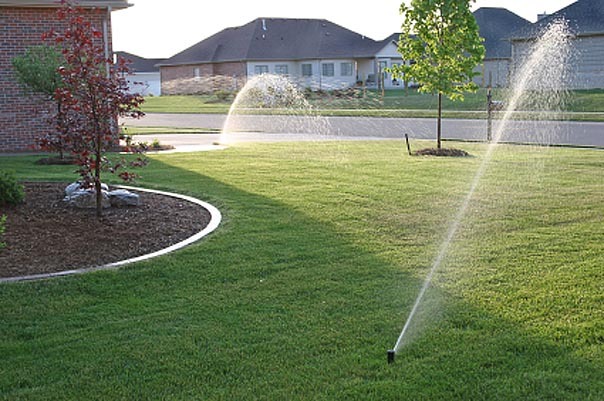 Relief comes with knowing there is a solution by partnering with a professional company to learn and create an efficient irrigation plan for your property. We've gone over performing the preliminary water pressure tests, deciding on reliable water conservation productions, creating a plan knowing the needs and requirements of the plant material on your property and the importance of appropriate time clock settings. This is a great system for ensuring peace of mind, through knowing there is protection for your property's value and assets.